Be a qualified tattoo artists and tattoo professionally! Pitt’s Tattoo is now open for class registration for very limited 2 students only. Next Class will be one year later! 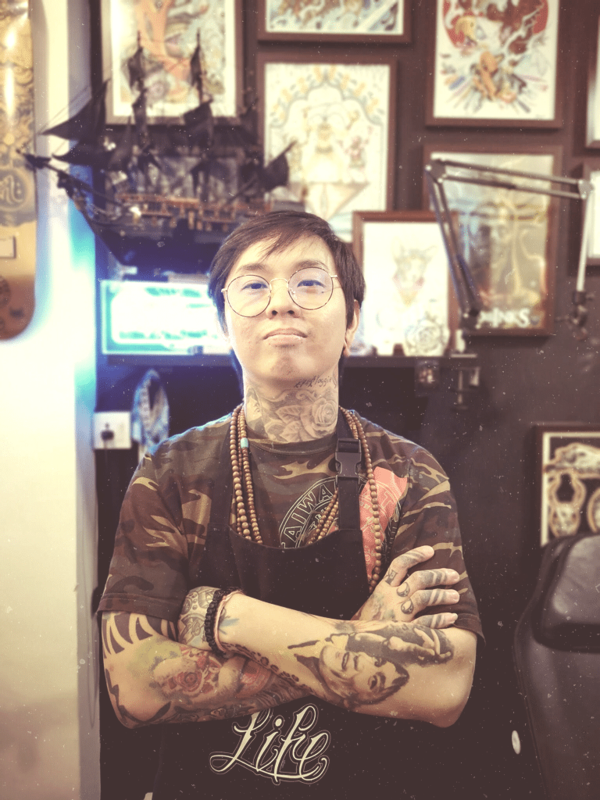 Pit Fun has more than 17 years of tattoo experience and he has won multiple international awards. Before I was a tattoo artist, I worked in a factory for many years with no skills gained. I realized I had to change my life, so I decided to seek for opportunities. There’s when I met my mentor/friend – Pit Fun. I am so lucky and fortunate that he gave me the chance to learn proper and professional ways of tattoo from him. And now, I am a full time professional tattoo artist in his tattoo studio.